Henry James’ Gothic ghost story is a quick read in terms of length but it is, by no means, an easy read. It is a slow, haunting story, where the suspense builds page by page and chapter by chapter. It is best suited for high school students who are able to understand symbolism and to read “into” situations and look at alternate explanations for what has happened in the pages of the story. It is a novella best approached with, above all else, an open mind. With that said, if you are going to undertake teaching The Turn of the Screw, you are in for a fun time with your students. The novel invites discussions about mental illness, madness because of isolation, true hauntings and the existence of ghosts and the afterlife. Your students will be amazed that such interesting conversations can take place within their “regular” old English classroom. However, it is important to encourage them to read for detail, right from the start. Use the downloadable PowerPoint presentation to introduce the major characters and give a plot overview. Have students examine their thoughts on what the governess believes before they even start reading the novel. Encourage them to also examine their own feelings about ghosts and hauntings. Then, begin reading one of the best known ghost stories of our time. 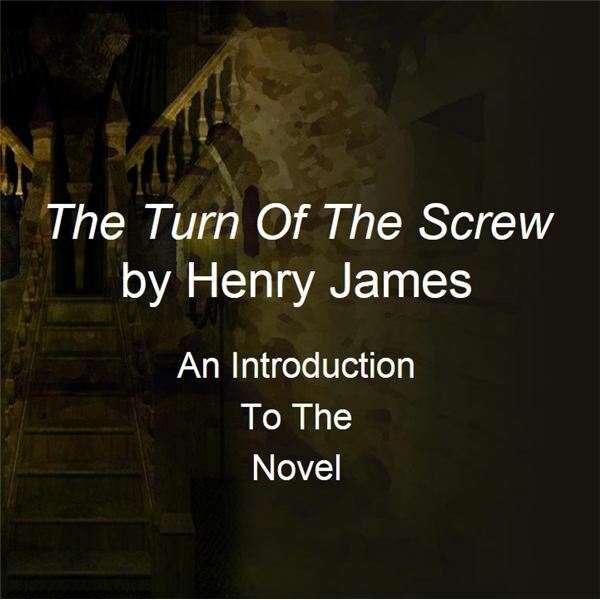 If you’re planning on covering Henry James’ The Turn of the Screw in your high school English literature class, check out these teaching resources, including several free PowerPoint presentations you can download to use in classroom discussions.